Stoneware bottles were used during the 19th and early 20th century to house both alcoholic and non-alcoholic beverages. The particular style of bottles shown here were mainly used to house ginger beer. 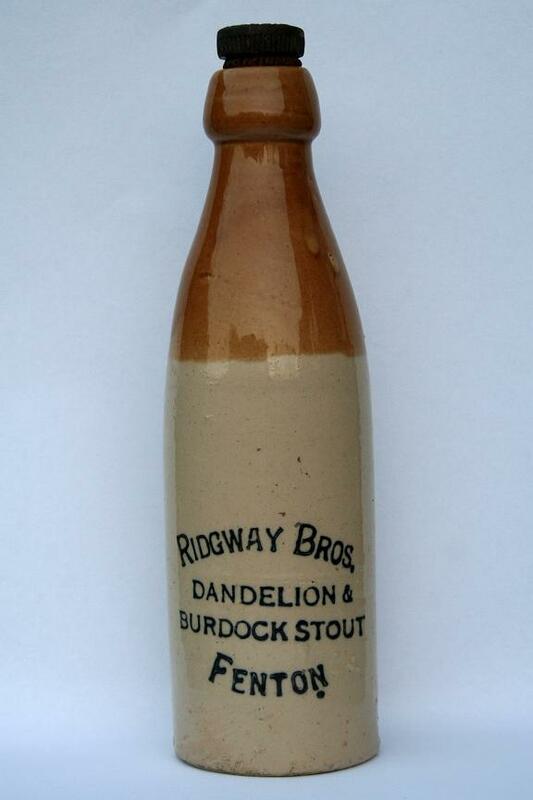 They fell out of favour by the 1920's, probably as a result of competition from mass produced glass bottles, but also due to concerns over the cleanliness of stoneware bottles given that you couldn't see inside them. This fact had previously been seen as an advantage, providing a means of hiding any unsightly sediment in drinks. 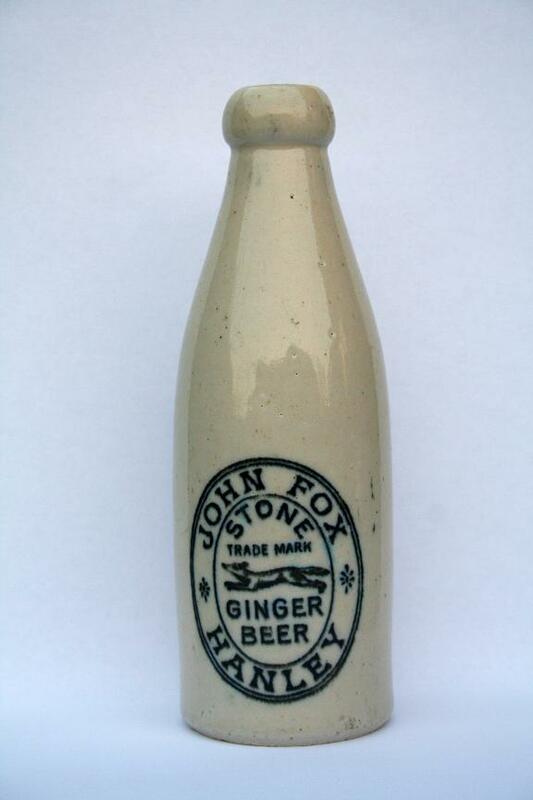 Prior to circa 1890 the majority of stoneware ginger beer bottles were impressed, that is the writing on them was pressed into the surface. Bottles dating after this time are more likely to be printed. Description: Two tone champagne GB, copper plate print, marked 'W. BAKER STONE GINGER BEER HANLEY' with signature script to centre. Description: Two tone champagne GB, rubber stamp print, marked 'W.BAKER STONE GINGER BEER HANLEY' with signature script to centre. 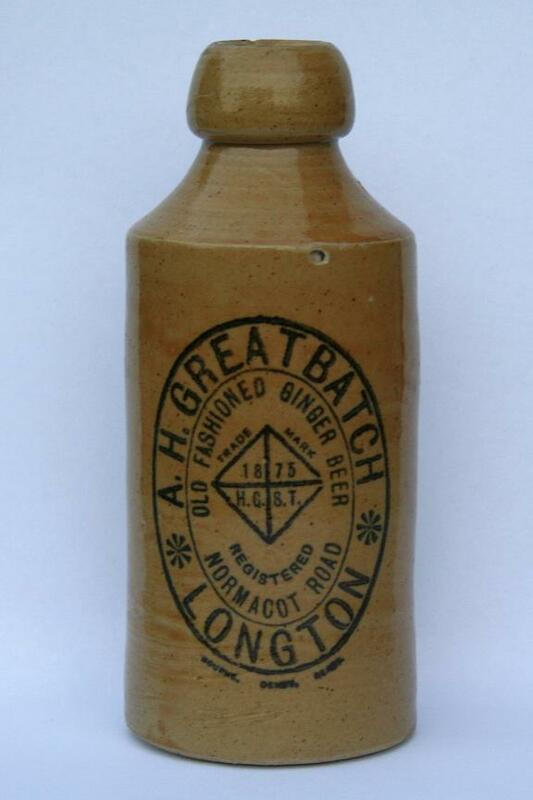 Description: Two tone standard GB, Internal screwtop marked 'BOOTS CELEBRATED STONE GINGER ALE HANLEY & BURSLEM'. Description: Large stoneware bottle, marked 'S. BOWERS 135 HIGH STREET LONGTON'.